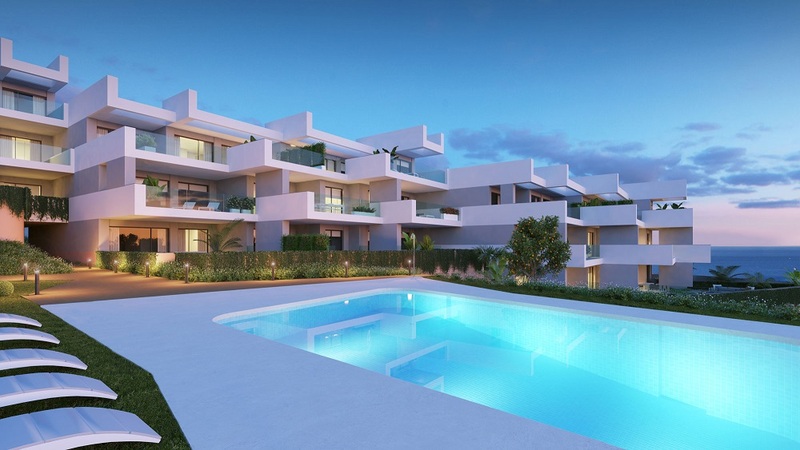 Modern apartments Duquesa for sale. Newbuild off-plan. 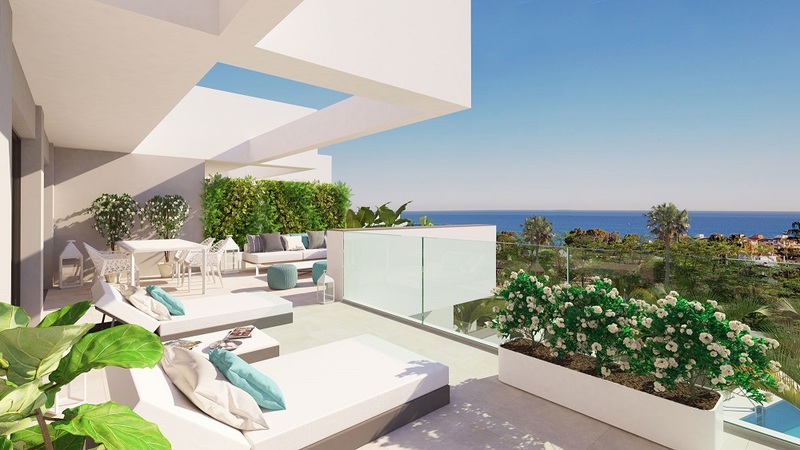 Situated in an exceptional position overlooking the Mediterranean Sea and the unspoiled beaches of Manilva. Manilva is a beautiful area of the Costa del Sol in southern Spain. This is a stunning development of modern apartments Duquesa with two and three bedrooms. It is perfect to enjoy this wonderful part of the coast. 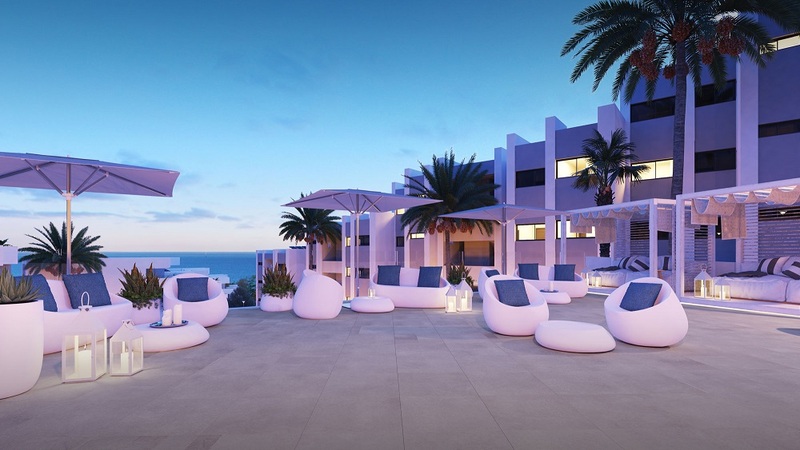 It has amazing onsite facilities and some of the most spectacular sea views in the area. 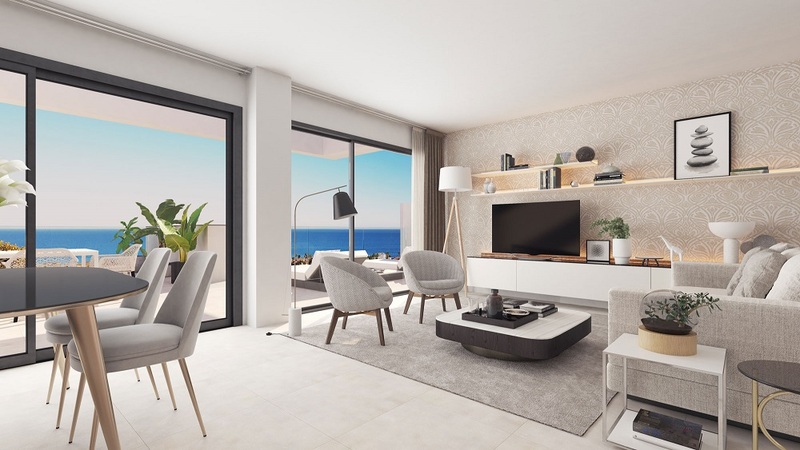 The modern apartments Duquesa benefit from an open plan with a contemporary design. This way we make the most of the stunning views. The low rise development consists of ground floor, first floor and penthouse units. The generous private gardens and south facing terraces are perfect for enjoying sunny days. Oversized glass doors provide a seamless connection between indoor and outdoor space. There’s a modern fully equipped kitchen boasting quartz worktops with plenty of space for informal dining. The configuration will depend on what type of apartment you choose. 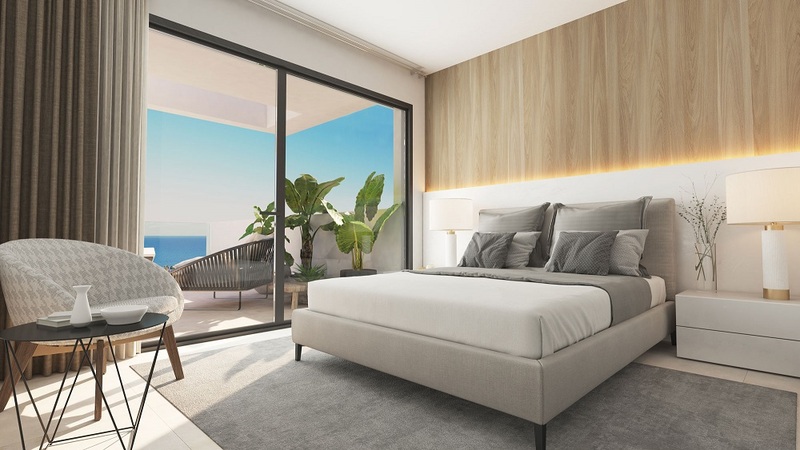 Spacious bedrooms come with fitted wardrobes and the master bedroom with an en-suite bathrooms with his and hers sinks as well as a dressing room. 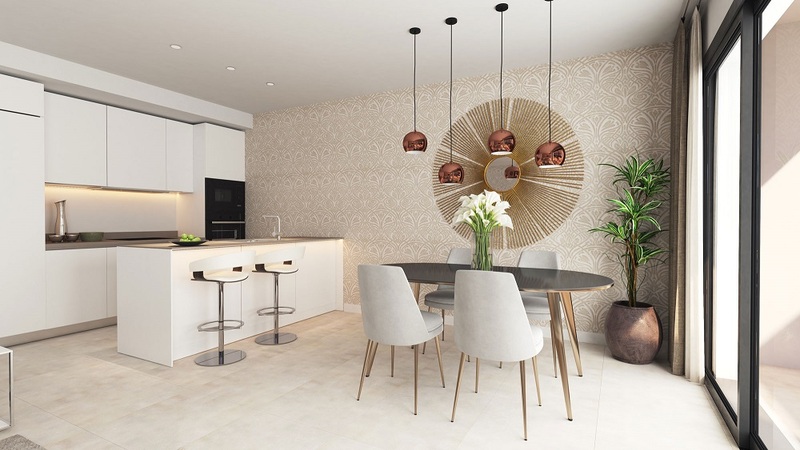 Buying a apartment means you can create your unique dream home by personalising certain aspects of the property. 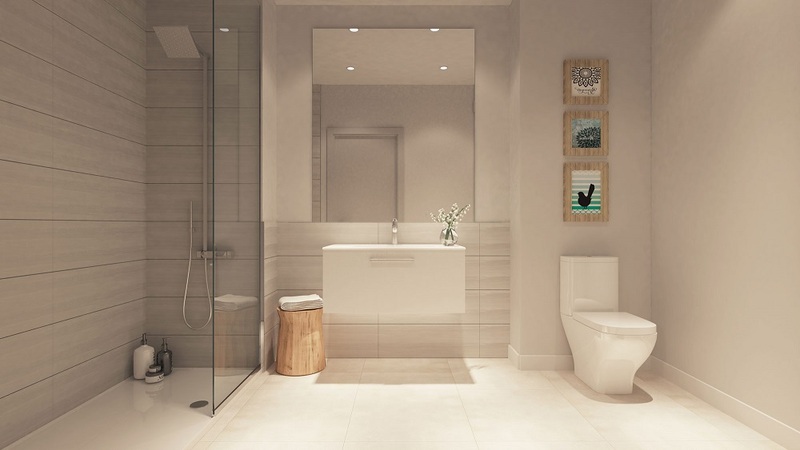 This includes bathroom units, tiles, kitchens and flooring. You can even choose the interior paint that you would like, tailoring your home to your taste. The project offers a unique resort-style living. 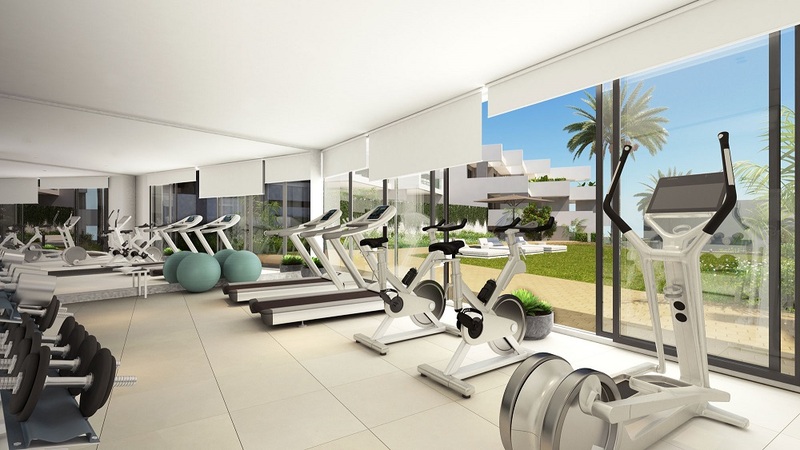 So without stepping outside of the development you can keep fit in the gym, wind down in the Spa’s Sauna and Turkish baths or have a long relaxing soak in the Jacuzzi. 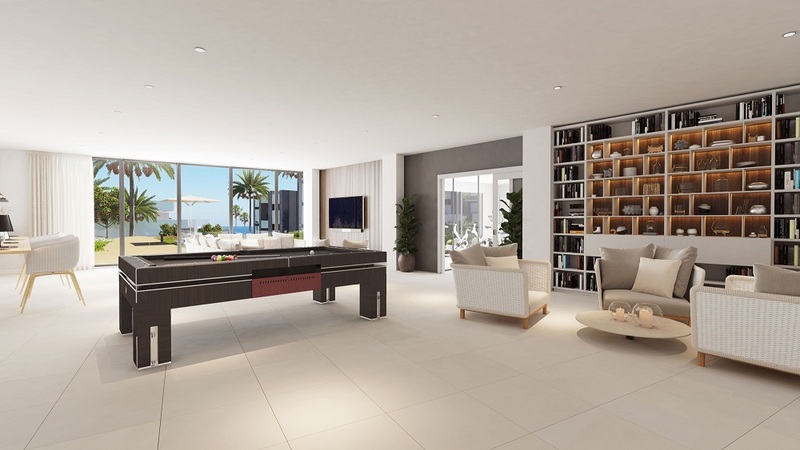 Families will love socialising on the rooftop chill-out terrace or catching up on some emails while the kids entertain themselves in the games/social lounge. The development centres around two beautiful lagoon shaped swimming pools. There is a separate children’s pool and children’s play area. Enjoy a bite to eat at the snack bar and a cool drink while relaxing in the sun. 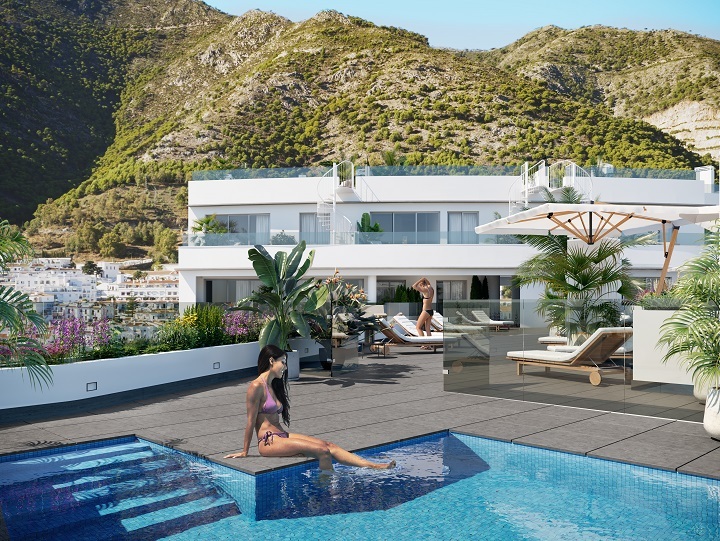 All you need to do is choose what configuration you prefer for your contemporary new home on the Costa del Sol. As owners of a property you will also enjoy the benefits of discounted membership in local golf courses and stylish beach clubs as well as in popular restaurants and cafes in the area. Book your favourite table or tee-off time using the concierge service. The Manilva area is located between Estepona in the East and Gibraltar in the West. Yet under 20 minutes to the lively resort of Marbella. 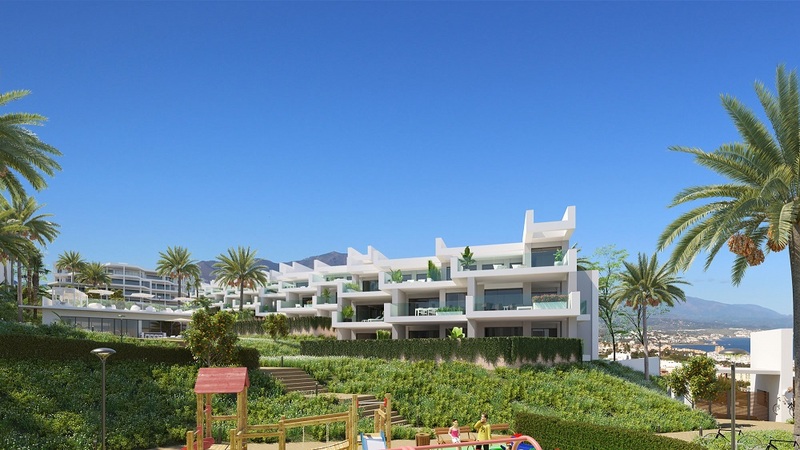 The charming marina Puerto Duquesa is only minutes from the project. The marina has bars and restaurants where you can relax and enjoy the superb lifestyle.